Using the exacto knife, cut Matisse-inspired shapes from construction paper. Look to the Jazz series, or other Matisse cut-paper collages, for inspiration when selecting colors and shapes. Remember to save the negative space left by the shapes you cut out. Cut a square around the negative space left behind to create inverse shapes. See examples below. 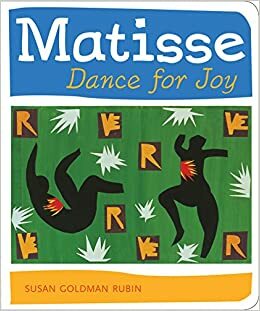 In addition to brightly colored organic shapes, stars, curving lines, and leaves, cut silhouettes of people from the black construction paper. When you have a variety of shapes prepared, sit down with your little artist to create cut-paper compositions together. Encourage your little artist to choose the shapes they like best. Ask your little artist to make up a story about the shapes they chose as they arrange and glue them on the white cardstock. For example, when I led this project at my son’s school, students imagined the people in their pictures were dancing with flowers and swimming under water. The youngest artists (18 months – 2 years old) will enjoy selecting the shapes and colors they like best. More mature pre-schoolers (2 years – 4 years old) may want to create their own shapes in addition to the ones you have pre-cut. In a few of the examples above, children tore the black construction paper to create thunder clouds and mountains which they added to the collage with the pre-cut shapes. Once you have cut your shapes in advance, you can repeat this project. Save extra shapes for future collages or create cards (on blank white cards sold at craft stores) to share with friends and family. 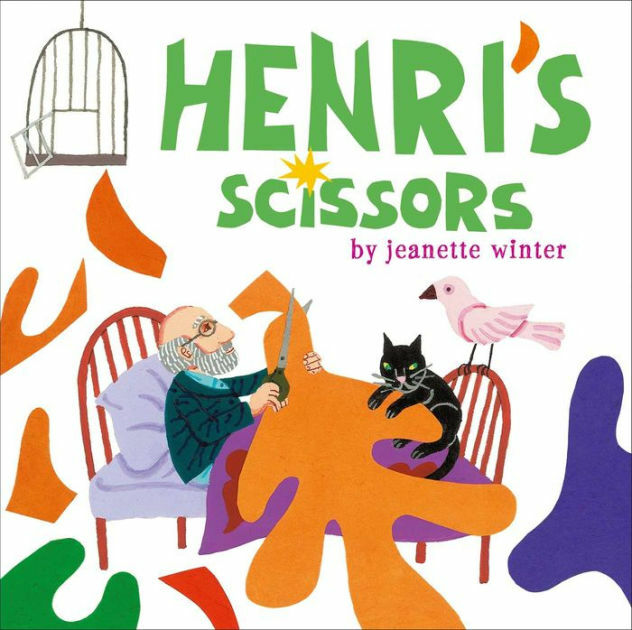 Before or after your Matisse-inspired collage project, read the books Henri’s Scissors by Jeanette Winter and Matisse: Dance for Joy by Susan Goldman Rubin together with your little artist.